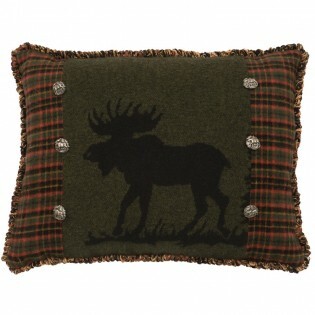 Pine Moose Rectangle Pillow. Made from a unique wool blend blanket fabric that is 30% new wool, 25% acrylic, 25% viscose and 10% polyester. This rustic moose pillow combines plaid fabric, silver tone buttons and coordinating fringe that all surround a central moose design. Made in the USA. Pine Moose Rectangle Pillow. Made from a unique wool blend blanket fabric that is 30% new wool, 25% acrylic, 25% viscose and 10% polyester. 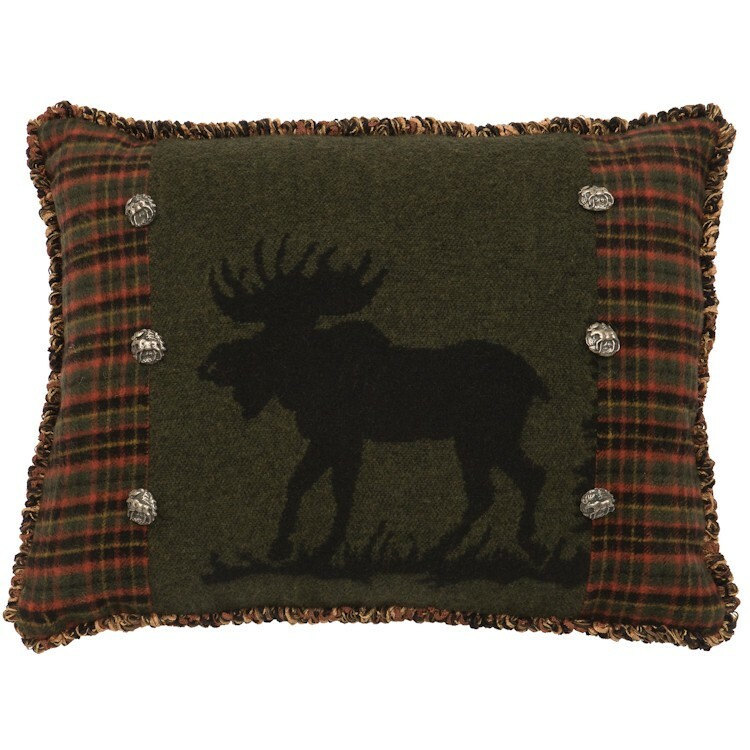 This rustic moose pillow combines plaid fabric, silver tone buttons and coordinating fringe that all surround a central moose design.